Our brushing machine type BM 1138 has been constructed previously for heavy-duty conveyor belt cleaning in coal mines and foundries. 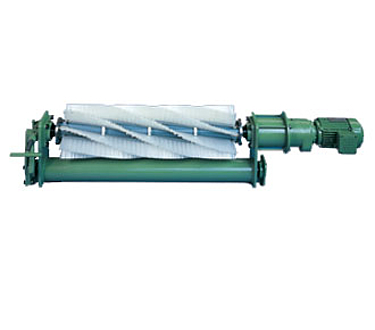 Today we supply it for almost all kinds of industry where conveyor belts have to be cleaned. - rugged machine core in welded construction. - simple mounting to all carrier systems. - integrated vertical adjustment of roller brush. - exchange of the brush coils without removing the roller brush. The brushing machine can be installed at the converyors according position 1-8.